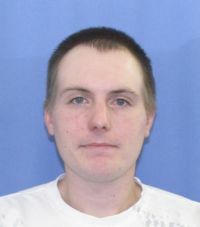 CLEARFIELD – Clearfield County District Attorney William A. Shaw Jr. announced Clearfield County’s Fugitive of the Week for the week of Sept. 3. Shaw identified the fugitive as Coty Goss, 27, of Loch Lomond Road, Philipsburg. Goss is wanted for failure to appear at criminal call on April 25. On Oct. 29, 2012, Sergeant Mark S. Brooks of the Lawrence Township Police Department filed a criminal complaint, charging Goss with theft by unlawful taking and receiving stolen property. According to the affidavit of probable cause, on Oct. 17, 2012, the Lawrence Township Police Department received a report of a theft from an area business. Upon investigation it was found that Goss, who was an employee of the business, was unlawfully removing items that belonged to his employer for more than a two-month timeframe. Video surveillance was obtained and showed Goss taking several pieces of metal and storing them in his vehicle. A preliminary hearing was scheduled for Dec. 19, 2012, at which time all charges were held for court. On April 25 Goss failed to appear for criminal call, and a warrant was issued for his arrest. Goss is described as a Caucasian male who stands 5 feet, 8 inches tall. He has blue eyes and blonde hair.